Loafing Odysseys: The Record Store. I adore these photos by Anna Ristuccia. The dark mood is so nice. Makes me want to put on a good album and curl up in bed on a rainy day. What's your favorite album? wow! Thanks for popping by. I gave you some link love and I look forwar to stalking you now ;o) Great blog! awww, thanks so much mishy! i love your blog! Cannot choose my favorite album, but Bob Dylan's Blonde On Blonde, Alain Bashung's Bleu Petrole and Ágætis Byrjun by Sigur Ros occupying my player at the moment. 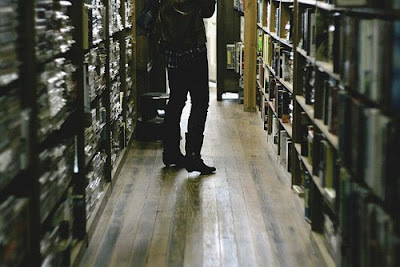 And have I said that I love your blog? Hmmm...the infamous question. 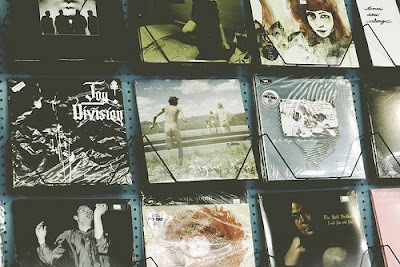 Being a long-time record store nerd, it's nearly impossible to choose one. Currently I'm listening to a Coltrane box set I picked up yesterday. On deck is Ratatat and The Cure. I stumbled randomly across your blog and dig what you're doing here. 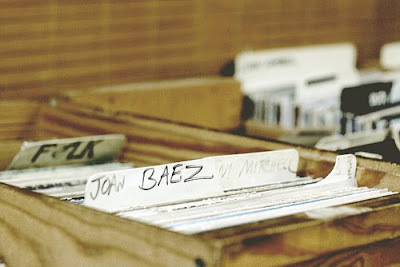 I have a blog called House of Cat that includes an Overheard at the Record Store series I think you might get a kick out of. What beautiful photos... It does create quite a nostalgiac feeling, that bygone era. I love all the gloomy atmospheric photos you choose to showcase here. wow! 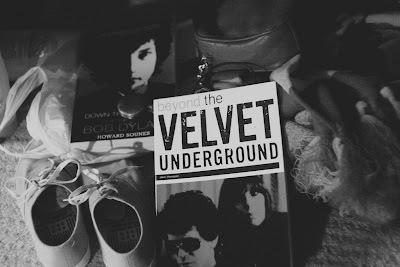 what great pics, i really love the velvet underground one! I haven't seen a record store in so long, its nice to see they still exist. My favorite album might be Transformer by Lou Reed.